A 19thc Rosewood Teachers Turned Pointer. English. C1860-80. 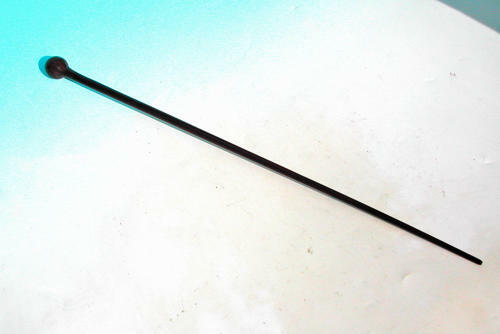 A fine example of a school teachers turned rosewood "pointing" stick...he would use it to point to different items displayed on the blackboard and to point to various pupils....also it has been known to have been used as a form of punishment, a sharp whack across the knuckles, would certainly get the pupils attention and focus the mind..!